LAHORE: Youth groups and innovators from Layyah District announced initiating a mass awareness campaign on women protection with a special focus on sexual harassment. This was resolved at the end of a two-day training workshop on women protection laws. It was organised by Bargad, a national level organisation working on youth development, and OXFAM in Pakistan, in collaboration with Punjab Commission on Status of Women (PCSW) in Lahore. Thirty representatives of youth groups and youth innovators from Layyah District attended the workshop, which was meant to equip youth groups and innovators, affiliated with Empower Youth for Work (EYW) project, with the understanding of women protection law and to create its awareness in communities. The EYW project works for employability of rural youth and is aimed at preparing 17,000 youth from Layyah District, including seventy per cent girls for their economic uplift. During the workshop, the youth groups and innovators got informed about concepts of gender, women protection and sexual harassment and the contents and modalities of existing women protection laws in Punjab and as to how to use the PCSW Helpline to protect women from violence. The young workshop participants also designed a mass awareness campaign for women protection in Layyah District. They particularly decided to meet representatives of local traders associations, police, traffic police, rickshaw and public transport operators in Layyah District. It was reiterated that launching of the youth-led campaign for women protection will help in the implementation of the Punjab Youth Policy 2012 and also strengthen the work of PCSW. Such training opportunities also provide due professional and personal exposure to the youth from rural areas. It is interesting to note that six out of the thirty workshop participants have visited Lahore for the first time in their lives. The resource persons and facilitators of the workshop included Bargad Executive Director Sabiha Shaheen, Bushra Ahmed from Oxfam, Amina Ali from PCSW and Saiqa Rani Bargad. At the completion of the workshop, Seher Afsheen from Oxfam distributed certificates among the participants. 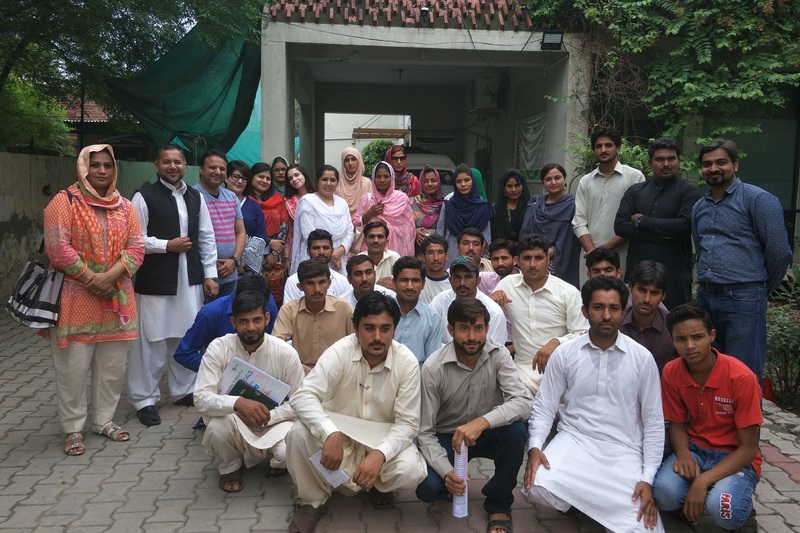 The workshop participants also had a study trip to the office of the PCSW Helpline 1043, which is a toll-free helpline established by the Punjab government. Through all-female call centre staff and legal advisors, this helpline provides guidance and legal advice to women all over Punjab facing problems related to harassment, property dispute, domestic violence, etc. In charge of the helpline, Imran Javed Qureshi said that 80,000 calls have been received and entertained by the helpline so far.